We officially started ‘school’ about 2 weeks ago & we’re having a really great time. First, we started with the letter ‘A’ and the story of Peter Rabbit. 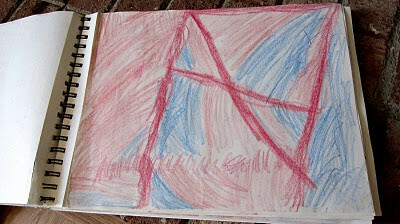 We drew pictures (trying not to draw outlines) and Naomi’s letter ‘A’ actually has MANY letters hidden in it. 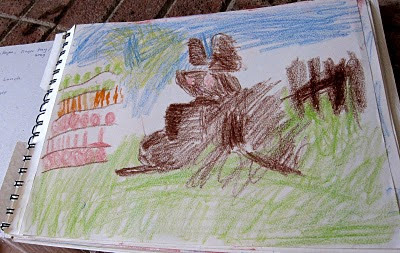 Then ‘B’ & the 3 Bears. 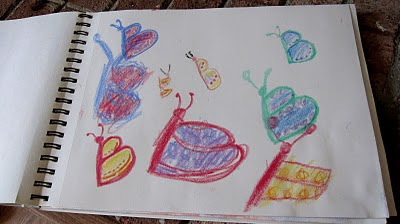 Also, we drew these adorable B butterflies–my favorite part & naomi’s. 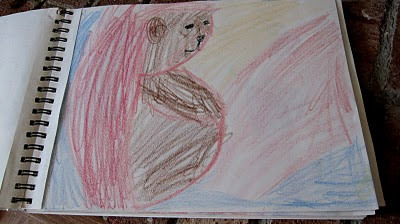 But, I really liked her bear b, too. 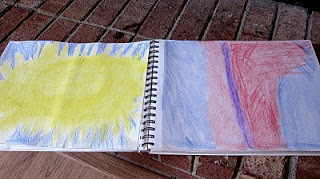 And we learned about the number 1 & how there is only 1 sun, but many rays and people who need it everyday. 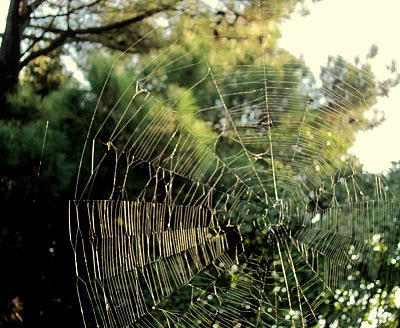 oh & we spotted this magnificent spider web the other morning & took a bunch of pictures. cute drawings! i remember being really excited for back to school when i was a kid… ahhh, memories.